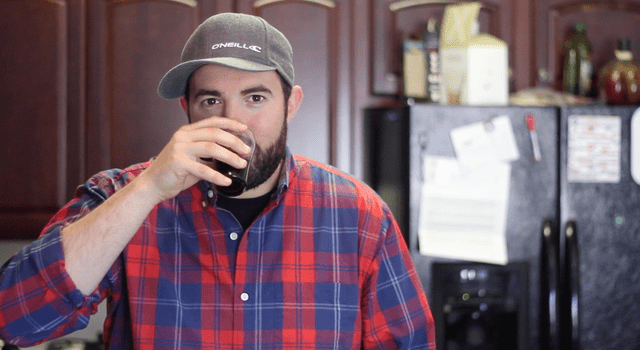 Following our recommendation of the OXO coffee storage system and our expressed interest in making a cold brew tutorial, the good folks at OXO® sent us their Cold Brew Coffee Maker. So we’re clear, this is not a paid endorsement. 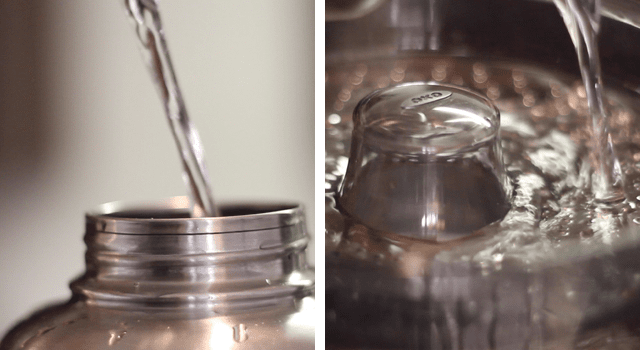 We really loved the way the OXO did the trick, and can’t wait to use it all summer long. 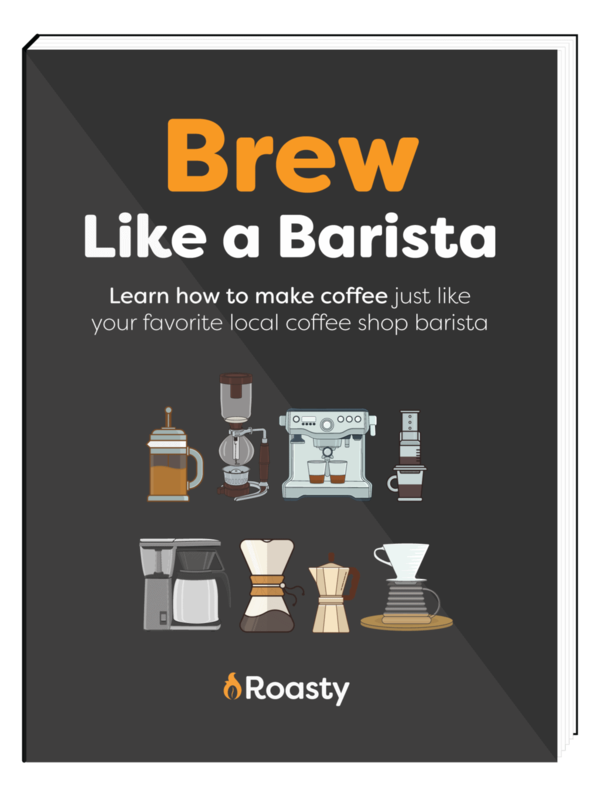 The regular coffee-making process uses hot water to extract flavor from the beans. However, done improperly, the process can end up extracting some things you don’t want in your coffee: bitter oils and fatty acids that contain ketons, ester and amids. These elements create the bitter and acidic tastes that cause most of us to add cream and sugar to coffee in order to counterbalance those flavor extremes. 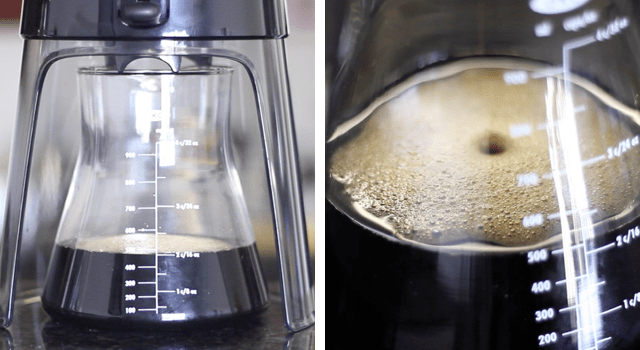 Cold brew, on the other hand, uses cold or room temperature water for extract. This takes a while (12 to 24 hours), but the result is significantly lower acidity. Between that and the temperature, it’s the perfect summer drink for coffee lovers. 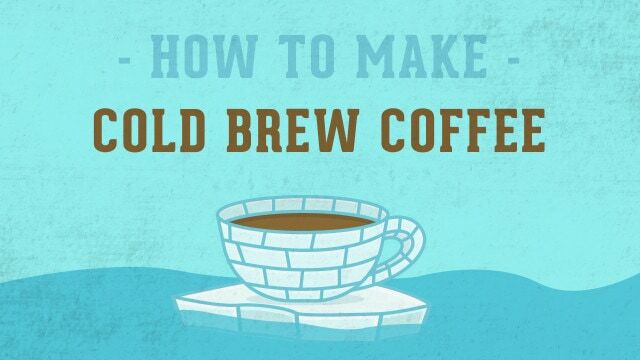 Click here to read more about the benefits of cold brew. 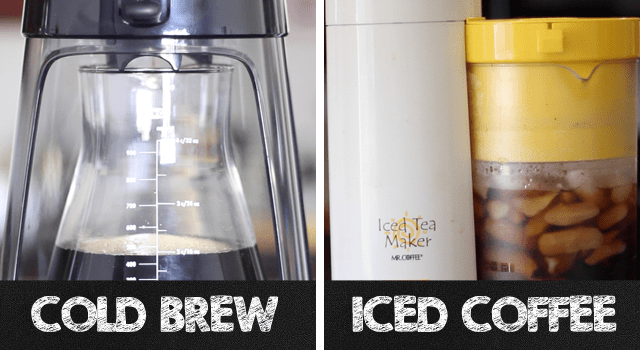 There’s a big difference between simply iced coffee and cold-brewed coffee. 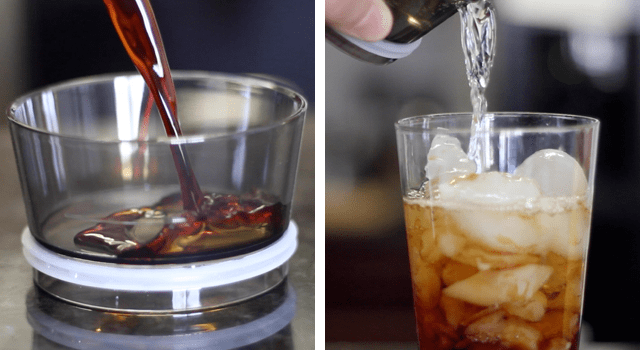 Cold brew is coffee brewed using cold water, whiled traditional iced coffee is strong, hot-brewed coffee quickly cooled and subsequently diluted by ice. Therefore, while icing coffee achieves the desired temperature, it still has the same acidity issues as poorly made hot brews. 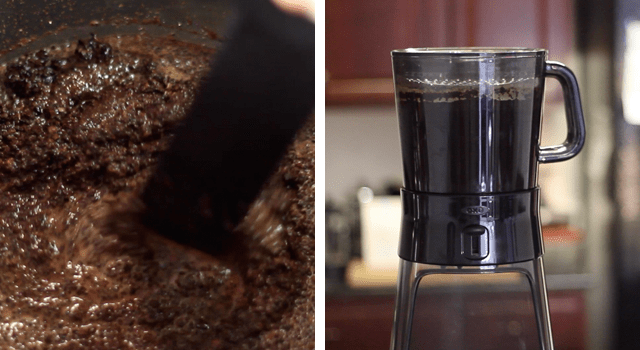 That’s what makes the cold brew system so much easier; essentially, cold brew coffee is harder to screw up. 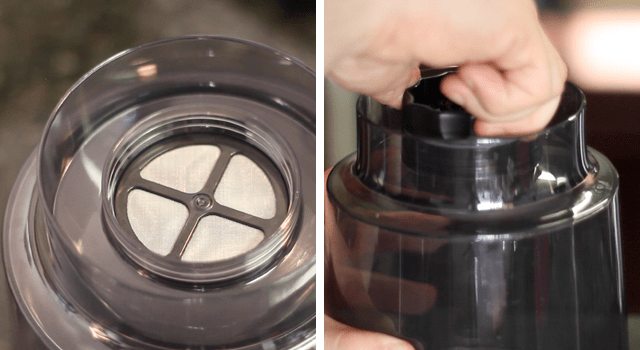 Here’s how to make it in what we think is the best way- with the OXO. Add the filter screen to the filter cap, and screw the filter cap onto the bottom of the brewing container. 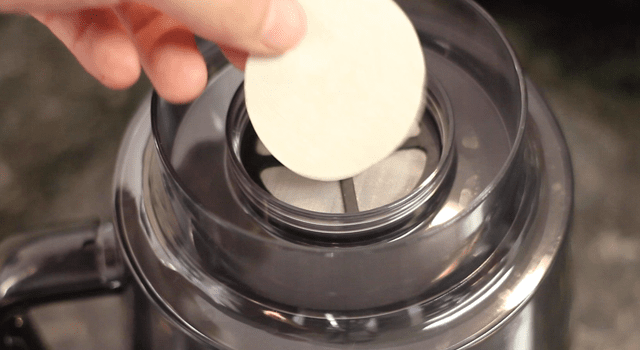 Tip: To add an extra layer of filtration, the brewer comes with some optional unbleached round paper filters that can be used in addition to the screen. I used this when making my first and second batches, and I liked the result. Feel free to try it both ways and see what you prefer. Place the brewing container on the stand. Make sure the brew release switch is in the off position! 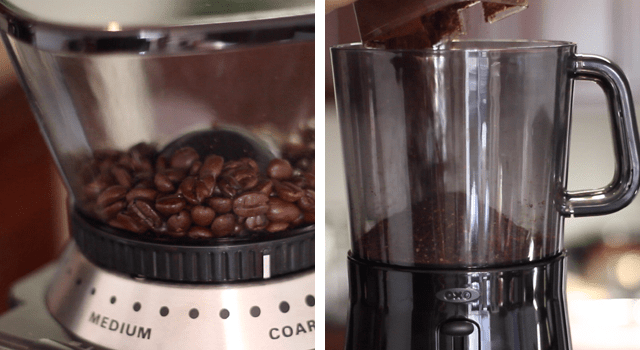 Grind 284 grams of whole beans to create 3.5 cups of ground coffee. Add to the brewing container and place the Rainmaker lid on top. Pour 1200 ml (or 5 cups) of cold water in a circular motion through the Rainmaker and onto the grounds. Allow one minute for the coffee to bloom. Remove the Rainmaker lid and gently stir the grounds. Then, place the Rainmaker back on, and let brew for 12 to 24 hours. 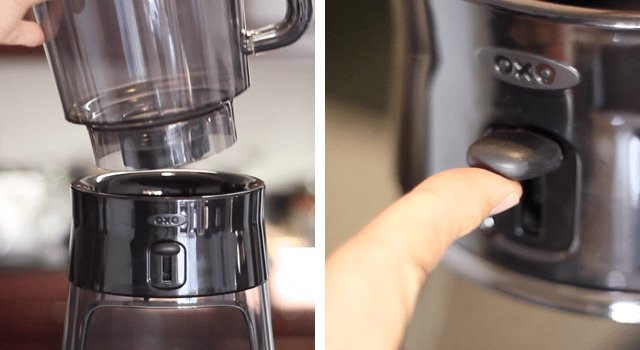 After brewing is complete, slide the glass carafe under the stand and press the brew release switch to drain the coffee. The best things are worth waiting for, and this draining is no exception; it takes about 20 minutes. Talk about slow coffee! Dilute the brew: mix 1/4 cup (about 60 ml) of cold brew to 1/2 cup (120 ml) of water. Use the provided stopper to seal the glass carafe and store the rest in the fridge- it’ll last a good two weeks.